Optional Precious Price: Diamond Quality (H to G, SI to VS3 ): $18,475 USD - $1..
Easy to wear this rhodium plated bracelet is a must have for every season. Simple and beau..
A classic silhouette is modernised with an on trend silver, rhodium plated structure and finished wi..
A necklace for all, representing a symbol of eternity. 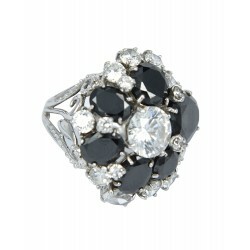 This pendant showcases Onyx and diamonds from..
Start your fine silver collection with this delicate ring design. A rhodium plated band holds a row .. Precious Price: Diamond Quality (H to G, SI to VS3 ): $19,631 USD - $21,575 USD .. 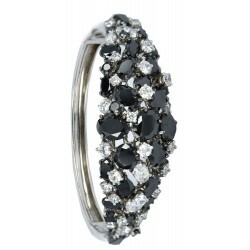 Graceful and elegant this bracelet features an on trend silhouette. 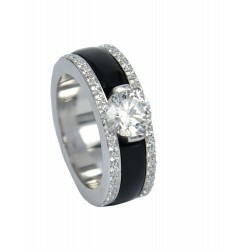 It elegantly combines black Onyx.. 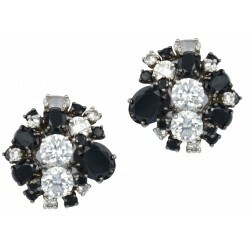 Perfect for a touch of elegance, this pair of rhodium plated earrings are outstanding. They sparkle .. This beautiful necklace has a unique silhouette, with a mixture of Onyx stones on a rhodium pla.. 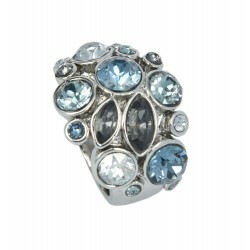 Bold yet feminine, this ring will add a lavish, fashionable edge to any outfit. 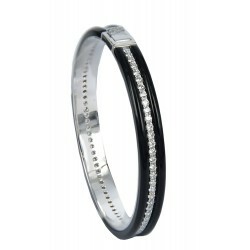 Rhodium plated this&..
Silver Price: $2,741 USD Necklace metal type : 925 silver – hand made Bracelet metal type : St..
Add a touch of sparkle to your wrist with this rhodium plated bracelet. The Onyx stones and pea.. 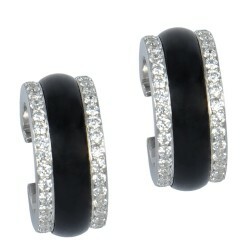 These 18 karat white gold earrings are a circle of diamonds with three diamonds within the sapphire .. 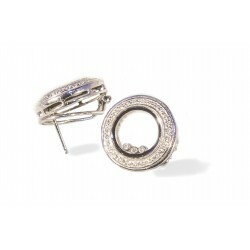 The 18kt white gold polished circle has two single rows of diamonds with five beautiful diamonds mov..